A way to give back to the community, and enable best practices in custodial. 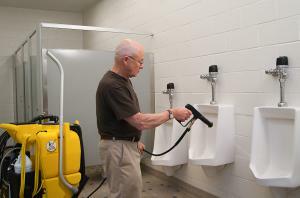 MERIDIAN, IDAHO, UNITED STATES, September 26, 2018 /EINPresswire.com/ — Perry Shimanoff, principal of MC2 − Management And Communication Consultants − with offices in San Carlos, CA and Oklahoma City, OK − is offering pro bono school and university cleaning seminars that enable the “Smartest Cleaning” as a way to give back to the school community, and enable best practices. The program consists of a three-hour workshop held on-site at a school that hosts the program, invites attendees, and provides refreshments. Mr. Shimanoff has almost four decades of experience teaching the smartest methods of cleaning and managing overall efforts. He has taught nearly 20,000 custodians nationally, at more than 800 school districts, written 70-100 articles requested by journals, and as part of his commitment to make the complicated simple, MC2 offers comprehensive performance audits and proven software with a huge installed base and successful track record. Performance Audits: In-depth audits and reports for operational effectiveness, examine paperwork, data, documentation and labor; including interviewing personnel and observing employees at work. Field Proven Software: SPMMS offers a complete facilities, grounds, equipment and vehicle maintenance management and job control system designed especially for school and college use. SuperACE provides a complete custodial management and job control system. FaST delivers a complete facility scheduling system to optimize resources while encouraging sound fundamental management techniques, including: documentation, planning, scheduling, communication, follow-up, and analysis. Mr. Shimanoff’s training calendar is filling rapidly, so please reserve your pro bono on-site training asap. No obligation and no strings attached.